What Are Frizzles & Sizzles? I am never short of amazed by the sizes and types of chickens in the world. Before my chicken days, I thought they all consisted of a standard hen in a handful of colors. I thought eggs came in brown or white and nothing more. Boy was I wrong. 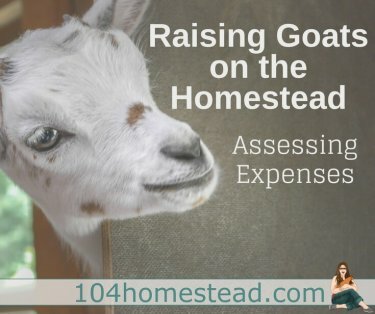 Before I delved into chicken keeping, I researched. Narrowing the breeds I wanted down to the four I had agreed upon with my husband was going to be hard. I wanted a rainbow of hens that laid a rainbow of colored eggs. Mostly I wanted a frizzle. What the heck is a frizzle? Is a frizzle a breed? What makes a frizzle’s feathers do that? A frizzle is a chicken whose feathers curl upward. This upward curling is created by a gene. Before we get into the nitty-gritty science, let’s just say it looks like no other chicken you’ll find and I thought they were the coolest. Your average farm frizzle is not a breed. They are made from breeding a frizzled bird to a smooth (or standard) bird. This practice usually is done with Cochins, Pekins, and Polish. When a frizzled bird and a smooth bird are bred, half their offspring will be frizzled and half will be smooth. Why not breed frizzle to frizzle and have all curly-feathered birds? Unfortunately, things don’t work out so well that way. You will in fact get all frizzled chicks, but half will be so frizzled that the feathers will be brittle and break (or there may be no feathers at all in some spots!). Basically the birds that would have been smooth are frizzled and the frizzled ones are double-frizzled. This isn’t a gum commercial. Double in this case isn’t double the fun. Your average frizzle can be any breed. 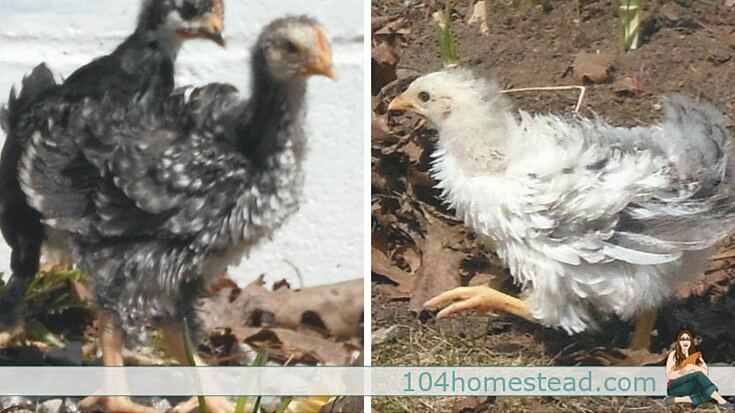 My last hatching was a Frizzled Cochin/Silver Laced Wyandotte rooster over various hens. We kept two frizzles and two smooth. You can see my darling frizzles above. Our male came from a Barred Rock hen and our female came from an Easter Egger hen. The Asian Frizzle is an actual breed. The breed is horrible for egg production and meat, but it shows beautifully. The SOP of this breed accepts black, blue, buff or white and it recognizes both standard and bantam sizes. There are also three varieties of plumage: frizzled, over frizzled and flat-coated (yes, the Asian Frizzle doesn’t have to be frizzled). Image courtesy of Poultry Hub. The history of this breed is some what unknown and it’s not very common in the U.S. For awhile it seemed the standard size bird was headed to extinction until a group of enthusiasts in Great Britain decided to bring the standard Asian Frizzle back. 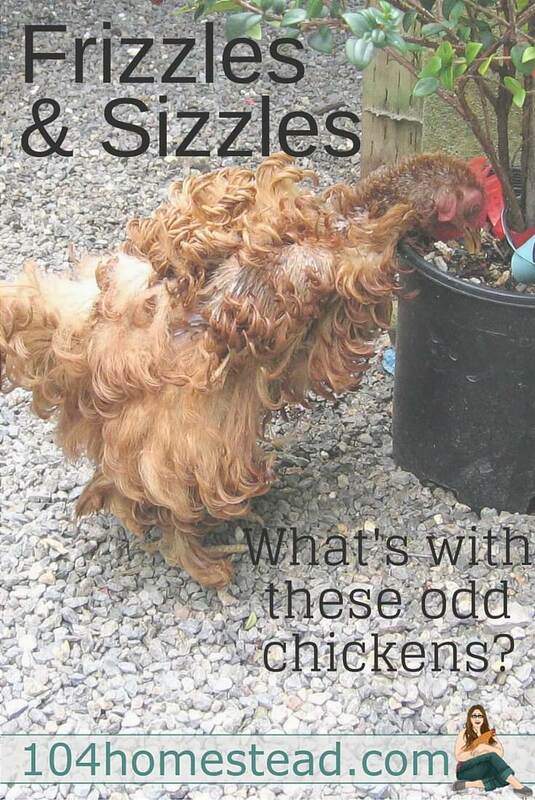 Sizzles are the same thing as backyard Frizzles, only then hen is always a Silkie. 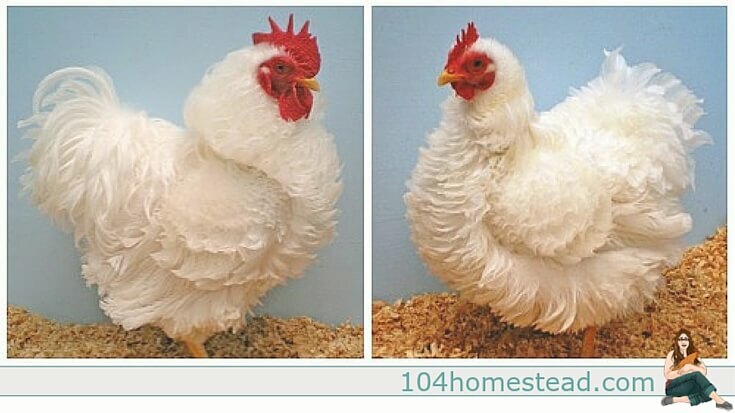 The rooster is usually a Frizzled Cochin, but since this is a variety, not a breed, there are no hard fast rules. In order to be considered a Sizzle, the chick must have Silkie feathers, otherwise it’s a Frizzle. As incredibly awesome as Frizzles and Sizzles are, there are some thing to consider before getting one. Because of the shape of their feathers, they aren’t a very weather resistant bird. Wind blows under the feathers causing chills, they can’t “puff up” to insulate and since there is no feather overlap, rain can be an issue. That being said, these birds may require special care in inclement weather. Make sure not to get a bird with these special considerations unless you are willing to provide it. 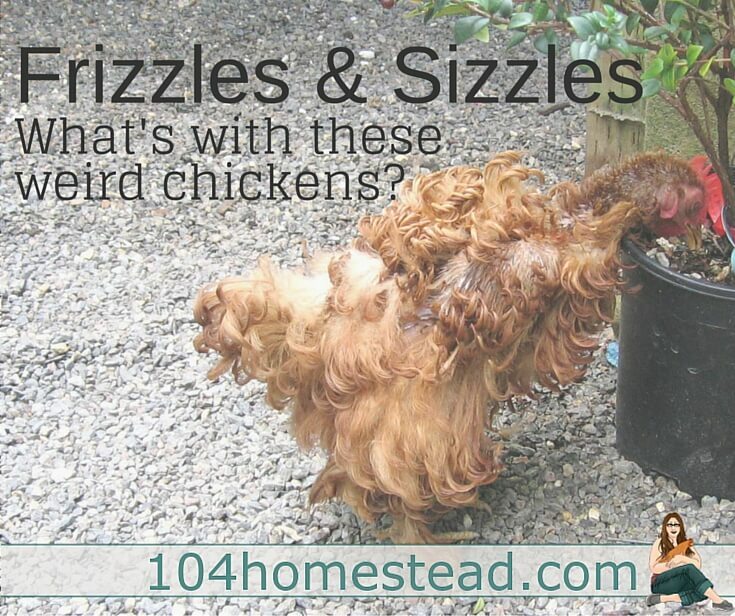 Home » Homestead Animals » What Is a Frizzled Chicken? Sizzled Chicken? I would love to have a frizzle chicken too!! When I broached the chicken keeping subject at home years ago, my wife said she had two requirements: Weird colored eggs, and she would do no work besides taking pictures of them. She didn’t know about cute little Frizzles and Sizzles at the time, or I think there would’ve been an additional requirement added. What color of eggs do they lay? That being said, I think this is why I can never have chickens… how would I *ever* decide which ones to pick!?? That is precisely why my coop keeps getting bigger. I have impulse control issues an a love for variety. I’ve never heard of this type of chicken, they’re beautiful! Aren’t they? They are like the foofoo dog of the chicken world.